Telesystem has been named a recipient of multiple ChannelVision 2018 Visionary Spotlight Awards, including Channel Program of the Year. 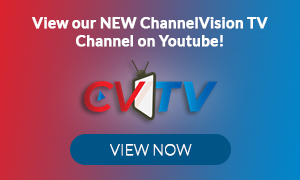 The annual Visionary Spotlight Awards competition was created by Beka Business Media to highlight channel and service provider innovation in communications. The awards honor outstanding products, services and deployments across numerous technology categories. Visionary Spotlight Award winners exemplify this goal, showcasing the communications industry’s overall innovation, capacity for future-thinking execution, and creativity and feature set differentiation; and offering channel partners a cornucopia of opportunities to boost their roles as trusted providers. Telesystem will be officially recognized in a special feature section in the May/June 2018 issue of ChannelVision Magazine.